JACKSON HEIGHTS, Queens (WABC) -- A 55-year-old deacon from Queens is under arrest, accused of sexually assaulting a woman on the subway. Authorities say Jamie Pinzon, a deacon at St. Joan of Arc on 35th Avenue in Jackson Heights, groped a 27-year-old subway rider on an F train between 47th-50th Streets/Rockefeller Center and 57th Street/6th Avenue just after 9 a.m. last Tuesday. The suspect then fled at 34th Street/Herald Square. 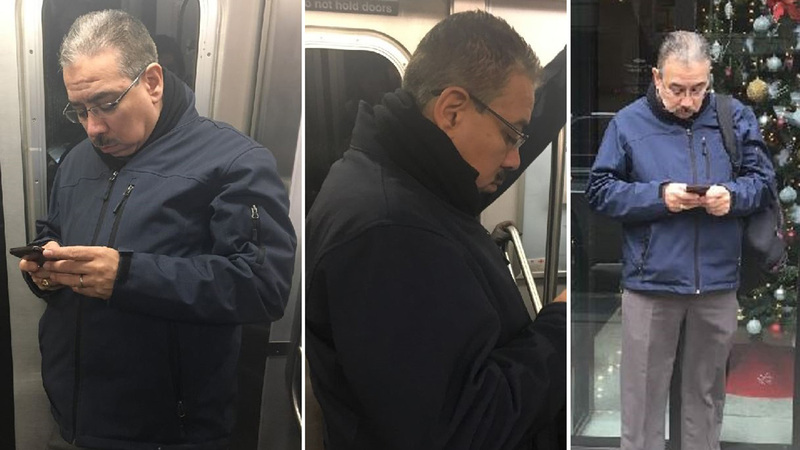 Police recovered cell phone photos the woman took of the suspect. They released them, and members of the church community recognized the deacon and called police. Pinzon is charged with one count of third-degree sexual abuse and two counts of forcible touching. He was released on his own recognizance and is due back in court on February 16.